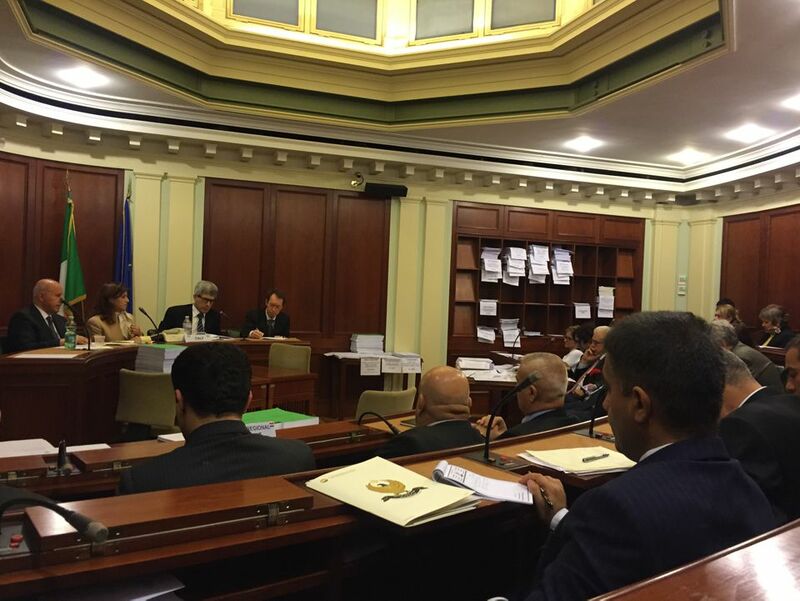 Today, the Minister Sinjari, accompanied by Mrs. Kader and the entire delegation was invited by the Vice President of the Human Rights Commission to the Senate, Sen. Riccardo Mazzoni to hold a hearing in front of the whole Commission on Human Rights. Minister Sinjari, thanked for the kind welcome and military and humanitarian support of Italy. He then presented the situation in the Kurdistan Region, the progress made in the fight against Daesh, such as the recent recapture of Sinjar, thus freeing the artery of communication between Raqqa and Mosul. He then focused on the humanitarian emergency, listing priorities in terms of humanitarian assistance to refugees and displaced persons and military instruments to supply to Peshmerga in order to better handle this situation became unsustainable. Daesh uses chemical weapons and avant-garde military equipment. We must stop them. Finally, concludes Sinjari, to defeat Daesh, it is necessary to defeat not just on militarily level but, overall, on cultural level, through the education imparted in schools. The Vice President Mazzoni thanked, on behalf of all political groups, the Peshmerga, the Kurdistan Regional Government and all the Kurdish people in the fight against Daesh. The Italian government - adds Mazzoni - must enable the European Union to allocate an amount similar to that imposed for Turkey for the Iraqi Kurdistan in a territory much smaller hosting an equal number of refugees. The Kurdish Peshmerga are fighting not only for their freedom, but the freedom of all the world from the threat of Daesh. And the Italian Government must provide further munitions to the Peshmerga that are currently lacking, but also tanks, armored vehicles, heavy artillery, equipment against chemical attacks and anti-tank weapons.